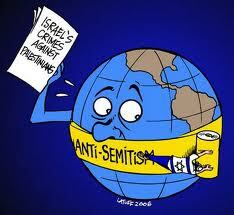 The Committee for Open Discussion of Zionism (CODZ) was formed in response to the efforts of Zionist organizations in the United States to suppress criticism of Israel and/or Zionism. In this context, CODZ’s founding members developed a sense that the general American public is uninformed about the nature, history, goals and implications of Zionism, whereupon attempts to suppress its analysis and critique have often been successful. These efforts have included: pressuring academic institutions to deny tenure to faculty who have criticized Israeli policy; demanding the dismissal or suspension of pro-Palestinian teachers and administrators; prompting the denial of lecture and performance venues to critics of Israeli policy; and attempting to suppress distribution of books critical of Israel or Zionism. The suppression of discussion of Zionism occurs within the context of a broader assault on academic freedom and critical thought; it is a concentrated expression of that assault. We need only look at the tenure battles of Norman Finkelstein (DePaul) and Nadia Abu El-Haj (Barnard), the assault on books written by John Mearsheimer and Stephen Walt and by former President Jimmy Carter, the allegations of “anti-Semitism” raised against students and faculty who support the BDS Movement (California State, U of California), or against UN Special Rapporteur Richard Falk for his involvement in exposing the Israeli violation of Palestinian human rights, and the canceling of the play, “My Name is Rachel Corrie,” by the New York Theater Workshop. We believe that such campaigns of suppression are wrong from every angle. They fly in the face of the most cherished constitutional traditions of democracy; they deprive the American public and government of the necessary viewpoints and information to conduct a debate on what are urgent, and certainly the most contentious, issues of policy; and as a result they make impossible a rational and just policy in the Middle East; they therefore promote endless regional war and terrorism and a continuing brutal colonial policy against a displaced population. Suppression of open discussion of Zionism is bad for everyone: for Palestinians, for Jews, for the citizenry of the United States, and indeed for the whole world. The goal of CODZ is to actively confront and expose instances of such suppression, and facilitate a democratic debate that is long overdue. 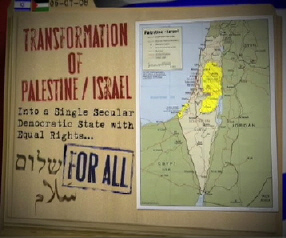 In the Fall of 2007, the University of Michigan Press, in response to Zionist pressure, withdrew from distribution Professor Joel Kovel’s book: Overcoming Zionism: Creating a Single Democratic State in Israel/Palestine, and declared its intention to reconsider its distribution contract with the book’s publisher, Pluto Press. 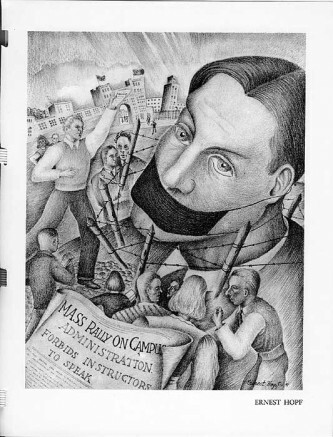 CODZ organized a mass, grass-roots protest that forced the University of Michigan Press to reinstate distribution of Professor Joel Kovel’s book and to drop reconsideration of its distribution contract with Pluto Press. CODZ will continue to promote the open discussion of Israeli policies, and of the ideology of Zionism which underlies those policies, through publication, education and debate, and to resist any efforts to suppress the public examination of these issues.